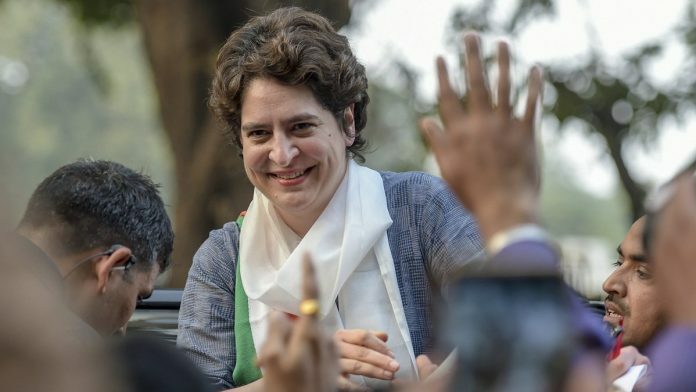 Priyanka Gandhi told party workers they were stakeholders in the new politics ahead of the Congress’ virtual launch of its Lok Sabha election campaign. New Delhi: Ahead of her maiden visit to Uttar Pradesh as Congress general secretary, Priyanka Gandhi Vadra said that together with the people of the state she hopes to start a “new kind of politics” in which everyone will be a stakeholder. Priyanka arrived in Lucknow Monday on their first trip to the state after being appointed the Congress general secretary in-charge of eastern UP respectively. She is accompanied by Congress president Rahul Gandhi and will be joined by Jyotiraditya Scindia, who was appointed general secretary in-charge of western UP. “I am coming tomorrow to Lucknow to meet all of you. I have hope in my heart that together we will start a new kind of politics, a politics in which all of you will be stakeholders — my young friends, my sisters and even the weakest person, all their voices will be heard,” Priyanka told workers through the Congress’ Shakti App.